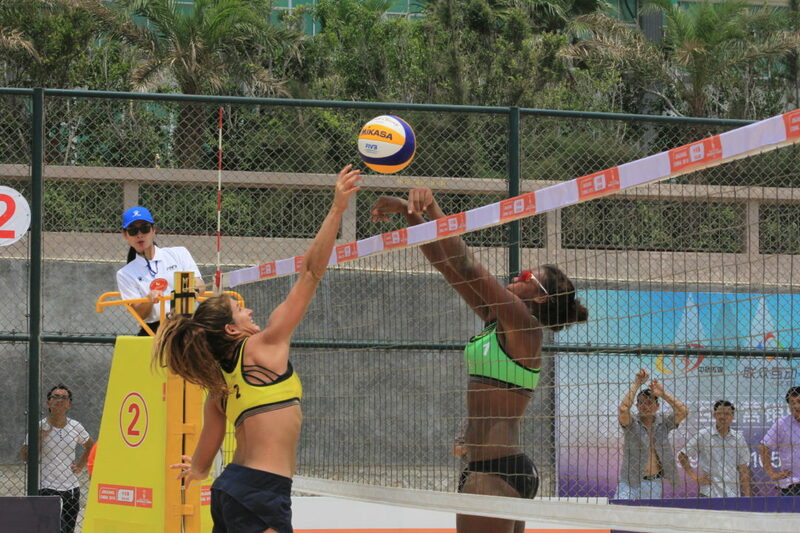 Play opened at the Jinjiang Two Star with qualification action on Thursday. On the women’s side, two American teams were among the six pairs to qualifying for the main draw. Caitlin Ledoux/Kendra Vanzwieten received a bye to the second round, before topping an opponent from Chinese Taipei in straight sets to move on. Aurora Davis/Bree Scarbrough had to post two victories over foes from Thailand to claim their place in the main draw and did so with a tiebreak win over Chanthira Khanok/Sumintra Sow and a straight set effort against Pronsuda Kritsana/Yodsaphat Pakham. Also posting double victories to advance were Sakurako Fujii/Samaa Miyagawa of Japan, who won in straight sets against Singapore’s Weiyu Ong/Seren Ng and then bested countrywomen Minori Kumada/Yui Nagata in tiebreak to move on. Rounding out the list of qualifiers are Canada’s Caleigh Cruickshank/Megan Nagy, Chinese Taipei’s Kou Nai-Han/Liu Pi Hsin and Poland’s Agata Ceynowa/Maryna Kloda, all of which advanced with a single straight set victory. On the men’s side, two teams were given a bye into the main draw, while the final eight played for one of the final four main draw spots. In the end, teams from Austria, Israel, Japan and Lithuania made it through. Israel’s Shani Cohen/Netanel Ohana went to tiebreak with Sweden’s Sebastian Akesson-Holm/Alexander Annerstedt to claim their spot, while the other three teams won in straight sets. Austria’s Felix Friedl/Maximillian Trummer, Japan’s Yoshiumi Hasegawa/Keisuke Shimizu and Lithuania’s Robert Juchnevic/Artur Vasiljev rounded out the qualifiers. Germany’s Armin Dollinger/Simon Kulzer and Russia’s Petr Bakhnar/Yury Bogatov received the byes.